Wine 101 Class at the Mount Pleasant Winery is one of the most educational fun activities in Branson that can give you the opportunity to learn how to taste wine and how the winery make fantastic wines. Learning how to taste wine is a unique adventure at the winery that can enhance your appreciation for both wine and winemakers. Even if you are not a wine connoisseur, you’ll find it interesting to taste wines like the pros in no time. This one hour wine tasting class is open every Wednesday at 2:00 pm and every Saturday at 11:00 am from March 5 through December 9. After the class you will receive a complimentary Mount Pleasant wine glass as souvenir. Mount Pleasant Winery was founded in 1859 by two German brothers George and Frederick Muench in Augusta, Missouri. They opened the first wine facility in the area as commercial wine business so they can create excellent wines in the region. The two brothers then built the cellars in 1881 using wood and limestone near the area where the facility was established. These cellars are still in use up to now to age winery’s internationally acclaimed Augusta Ports and its estate-bottled wines. The winery planted a variety of grapes in the early days and also maintained apple orchards. The winery closed down in 1920 on the enactment of the Prohibition and all the wine making equipments were destroyed and the vineyards were set on fire. The winery was reopened in 1966 when Lucian Dressel and his wife purchased the property. They replanted the vineyard with self-rooted vines and classic grafted European varieties. After producing award-winning wines, the winery became a popular tourist destination. In 1980, Augusta was chosen to be the first government-appointed wine-growing district in the US from among wine-growing districts in Missouri. Today, the facility is the most established winery in the region. For the last two decades, the winery won numerous prestigious awards and has achieved high ratings for its wine products. 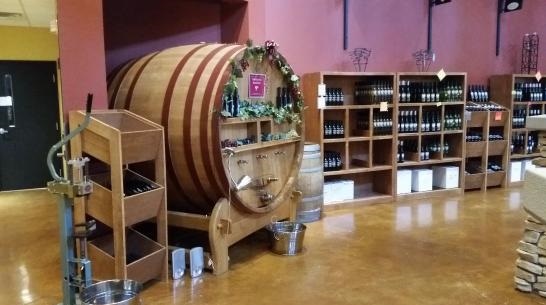 With the opening of the 9,200-square-foot bottling plant in Branson in 2008, it gave clients the opportunity to shop and sample award-winning wines and a chance to bottle their own wine from a 600-gallon French oak barrel. 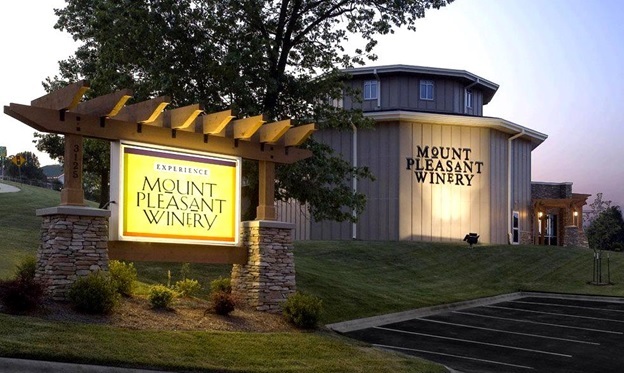 When the wine facility in Augusta celebrated its 150th anniversary in 2009, Mount Pleasant Winery was changed to Mount Pleasant Estates and the Branson facility remains the same as Mount Pleasant Winery. The Wine 101 Class of Mount Pleasant Winery offers guests a unique fun activity in Branson of wine tasting. This wine facility bottles award-winning wines such as excellent reds, whites, golds, and silvers, as well as the perfect stemware for each. The facility features a wine shop and art galleries. Its Wine 101 Class was designed to help guests enhance their appreciation on fine wines. The class is deal for beginners and everyone who wants to become a wine connoisseur. Participants will learn how to pair wine with food and the five S’s of wine tasting: see, swirl, sniff, sip, and savor. With Wine 101 Class, you’ll learn how to pair wine with a meal, as well as pairing it with the standard snack items that everyone loves to have with wine – cheese and chocolate. Don’t miss to browse the unique art galleries in the winery and the chance to bottle your own wine. This educational experience will give you a great advantage at your next dinner party and is sure to impress every guest. Have fun to learn a new skill of wine tasting at Mount Pleasant Winery’s Wine 101 Class – it’s a great experience for individuals, couples, and groups. The Wine 101 Class at Mount Pleasant Winery is designed to accommodate a group of visitors who are interested in tasting a variety of wines and learn how to pair them with foods. The class is conducted by one of the pleasant staff members of the winery, Bonnie, who is absolutely down to earth and is extremely laid back and will make you feel welcome and comfortable enough to ask as many questions as you wish. The winery is the perfect opportunity for regular wine drinkers to expand their palate, mingle with other wine lovers and buy their favorite selections directly from the source instead of buying at the grocery store. Individuals participating in the wine class do their wine tasting in the main tasting room, right when they walk in the door. There are two options to choose from when sampling wines. The facility offers Wine 101 Class every week for individuals at $15.00 per person. This wine tasting class for individuals requires reservations and is held twice weekly every Wednesday and Saturday. The winery has special events that are advised mostly via Facebook: Mount Pleasant Winery-Branson. The Wine 101 Class for Groups is an enjoyable and educational class where participants learn a great deal about wine, the right pairing of food with wine, and their own particular palates. The winery offers a variety of cheeses and chocolates to pair with a variety of wines and ports. Participants are sure to leave the class with a heightened knowledge level and appreciation of wine. Although the regular rate for this wine tasting class is $15 per person, however, the winery will provide groups of 10 or more at the price of $10 per person inclusive of tax. The Wine 101 Class features an additional option of Bottle Your Own Dessert Wine. This option allows you to bottle your own dessert wine. In the facility, this dessert wine is aged in a 600-gallon French Oak barrel, the largest in Missouri. Group members are allowed to bottle their own dessert wine. This will give you a wonderful souvenir or gift item. The normal retail price for this is $9.99, however, it is provided to group members at the price of $7.99. So, this option costs $17.99 per person, as compared to the normal tax-inclusive retail value of $25.85 (a great savings of $7.86 per person). Mount Pleasant Winery is pleased to offer group tours for individuals who want to tour together inside the wine facility. During your visit to the winery, you can also take a self-guided art tour or browse our retail store for unique gifts. The winery offers guests ample complimentary, on-site parking for your motor coach and it can accommodate groups of all sizes in their spacious and charming tasting galleries. Choose from one of the group tour packages and book your reservations early. The Bottle Your Own Dessert Wine that you can do at the winery allows you to create your own one of a kind collectible wine when you bottle your own dessert wine from the winery’s 600-gallon French Oak barrel. You can sign and date the bottle and make it as a gift or keep it as a unique souvenir. Group members can also enjoy wine tasting in a private room where they are served with six different wines ranging from dry to sweet. This twenty minute wine tasting is free and will let you learn basic wine knowledge. So, if you want to learn how to taste wine and how the winery make fantastic wines, take a Wine 101 Class at the Mount Pleasant Winery in Branson.